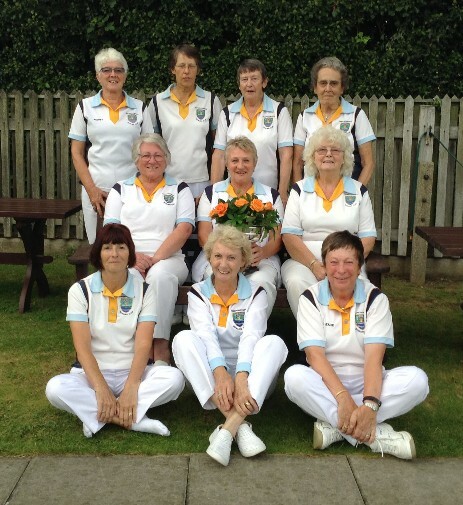 Sawbridgeworth and Bishop's Stortford Bowls clubs play three triples both home and away for the Googe Rose Bowl. This year the rose bowl came to Sawbridgeworth. 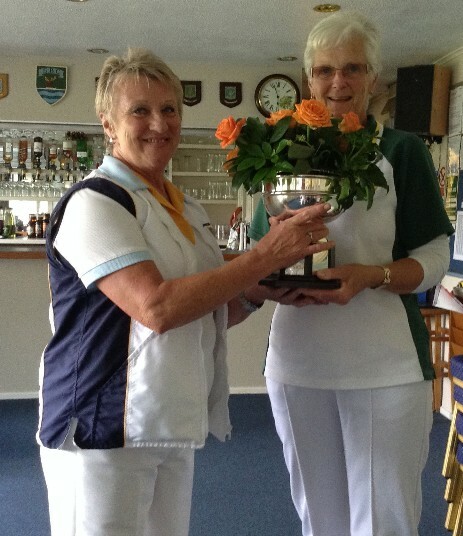 Acting Ladies' Captain, Brenda receives the rose bowl from Ladies Captain, Debbie.